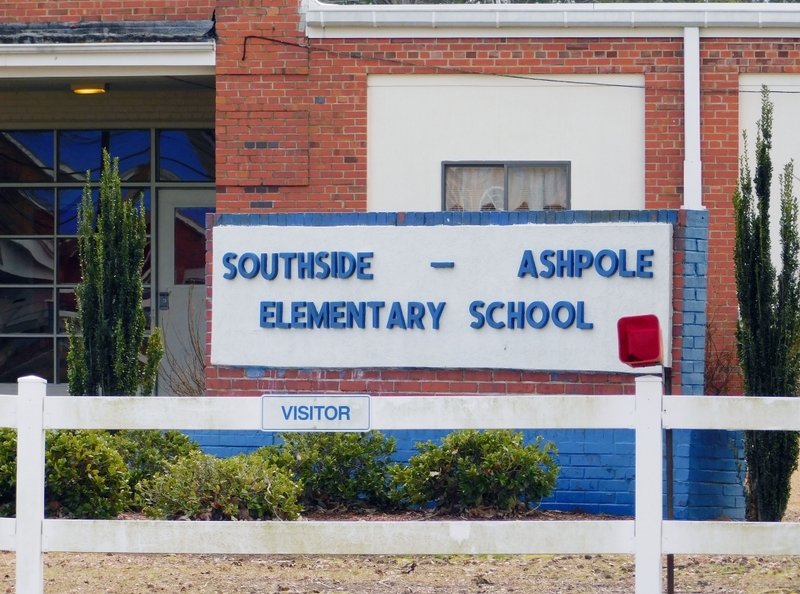 Southside Ashpole Elementary School in Robeson County looks like most elementary schools in rural North Carolina. The 1950s-era school building — located along North Martin Luther King Jr. Blvd., in Rowland — is showing its age, but is well-kept. During a reporter’s visit in February, students, dressed in the school uniform of polo shirts and khakis, are quiet and orderly as they line up to change classes or go to lunch. The school’s office is abuzz with parents picking up children early or checking on their academic progress. And office personnel ably staff phones and handle the other day-to-day business of running the school. But Southside Ashpole is different than most elementary schools. 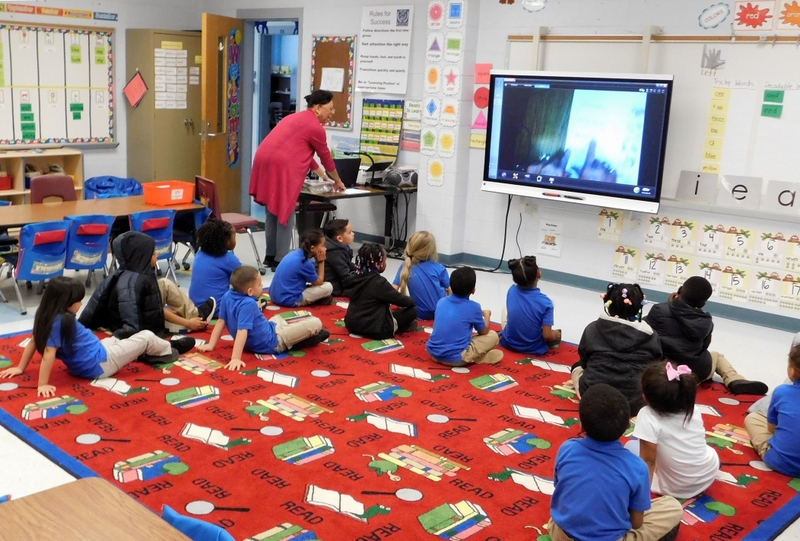 It’s the first and only school in North Carolina to be swallowed by the state’s Innovative School District (NCISD), which lawmakers created in 2016 to improve academic outcomes in low-performing schools. The Innovative School District is a controversial state program, created by North Carolina lawmakers in 2016 to turn around some of the state’s lowest-performing schools. The program allows outside operators, including for-profits and charter management groups, to take over a traditional public school for five years. As of today, just one school, Southside Ashpole Elementary in Robeson County, has been approved for the program, although state leaders plan to target several more schools in the coming years. Southside Ashpole was a prime candidate for a state takeover. The school has received a state grade of “F” three consecutive years. It has not met growth targets during that span. And more than 75 percent of students were not proficient on end-of-grade tests in either reading or math. Across North Carolina and throughout the U.S., race and wealth are often predictors of how well students will do in the classroom. Children of color in low-income communities often fare the worst. At Southside Ashpole, about half of the school’s 250 students are Black, a third are American Indian, and the rest a mix of Hispanic, white and other races. More than 95 percent of its students qualify for free or reduced priced lunches. The town’s median income is about $22,500. 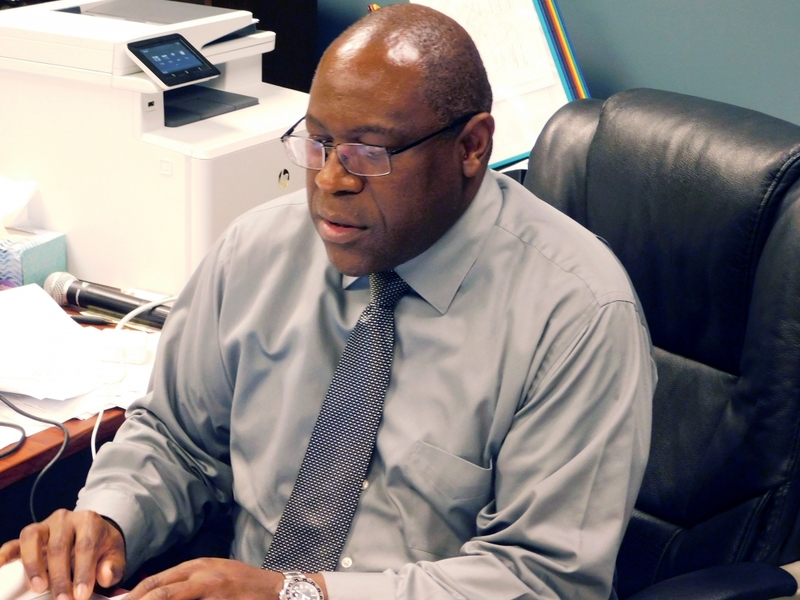 Principal Bruce Major, hired last summer to lead the school, was well aware of the town’s challenges and school performance data before his arrival, but contends he isn’t the right one to ask about why the school hasn’t worked for students. Regardless of past academic performance or behavior problems, Major said students at Southside Ashpole started the school year with a clean slate. Nearly all of the school’s teachers, and most of its support staff are new. “The fact that we did replace the vast majority of the staff made it easier because I had the luxury of formulating a team that’s around a single vision and a single mission that were void of those past issue that were there,” Major said. Major and the staff spent three weeks before the start of school team building, formulating academic goals but also discussing the mission and climate of the school and setting expectations for students and staff. Major’s sentiment of letting go of the past has flowed down to the school’s teachers and members of the support staff. Like Major, Cindy Chavis, the school’s new counselor, said she’s determined to not spend a lot of time revisiting the past as she works to build relationships with students and parents of the small town of fewer than 1,000 people. Chavis said parents have told her that they sense a change at Southside Ashpole. “Doing the comparison from this school year to last school year, they can see a drastic change in the whole school environment when it comes to academics and behavior,” Chavis said. Chasity McCallum, the mother of a kindergartner, Carmen, who also attended pre-K at Southside Ashpole, backs Chavis up. Choosing her words carefully to not disparage previous teachers and administrators, McCallum said change was necessary in order for students to move forward. State School Board member Olivia Oxendine who represents the Sandhill Education Region visited Southside Ashpole a month ago. She credits Major with the changes taking place at Southside Ashpole. Folks in Rowland, including McCallum, didn’t initially think the state takeover of Southside Ashpole was a good idea. “In our community, we don’t take to change easily,” McCallum said. But closing Southside Ashpole, the other available option, was far worse, said David Townsend, the Rowland town clerk, who worked with community leaders to keep the school open. “If we lost our school, that felt like it was going to be a real big blow to our town,” Townsend said. 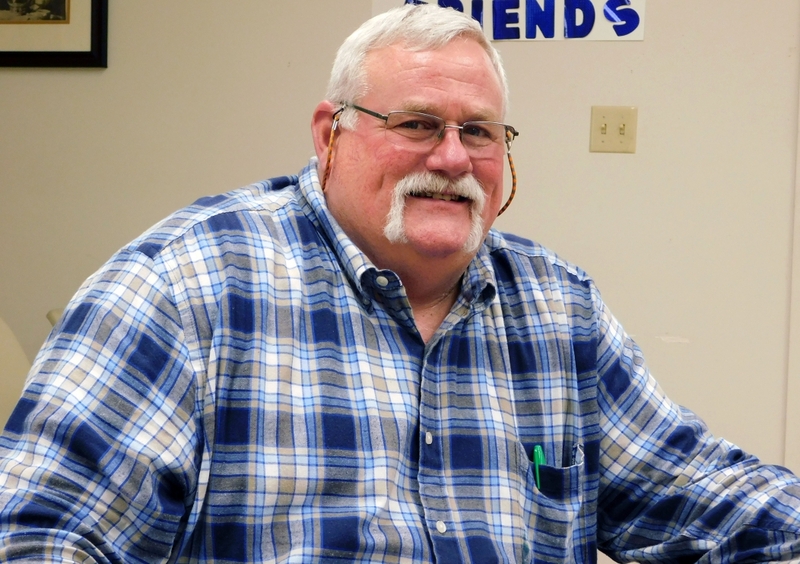 A Rowland native and retired engineer who moved back to his hometown about six years ago to care for his mother, Townsend said he worried the town wouldn’t survive the loss of the elementary school. A ride through Rowland shows that Townsend’s fears might be justified. The town suffers from the same ills as small towns everywhere. Many of its storefronts are shuttered. And too few of its high school graduates remain there because there isn’t enough work to support them. In explaining why residents have embraced the takeover, Townsend said Rowland leaders feared closing Southside Ashpole would set off a devastating chain reaction that would leave the town with no schools. “If we lost our little bitty elementary school, in three or four years they were going to close the middle school (Rowland Middle School), then South Robeson High School,” Townsend said. Still, Townsend said it was tough to get residents behind the idea of Southside Ashpole being moved into the NCISD. Like other communities in the NCISD’s sights, Rowland pushed back but simply didn’t have the political muscle or organizing skills as other communities such as Durham to beat back a takeover. Some school districts that have successfully fought against proposed takeovers have instead adopted the state “restart model” that gives struggling schools charter-like flexibility to improve academic performance. Glenn and Lakewood elementary schools in Durham were both on the list for a possible state takeover in 2017, but were removed after weeks of contentious protests. Lakewood Principal James Hopkins said his students are better off under the restart model, and early indications are they will show improvement on end-of-grade tests. “Restart has allowed me to position my teachers to best serve our students,” Hopkins said. He said increased classroom support has reduced distractions, which has led to fewer suspensions. Lakewood is on pace to meet its academic goals, Hopkins said. “If we meet our goals, we can potentially go from an ‘F’ to a ‘C’ [on the state school report card],” Hopkins said. Southside Ashpole will be a part of the NCISD for the next five years. It will be managed by Charlotte-based Achievement for All Children (AAC) in partnership with TeamCFA, a influential national network of charter schools with powerful allies in the state legislature. TeamCFA operates 13 schools in North Carolina. AAC’s own connections to the legislature have been a subject of controversy. 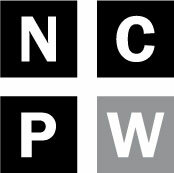 While the nonprofit doesn’t name its board of directors on its website, Policy Watch has reported that at least one board member, Rob Bryan, is an ex-state lawmaker who spearheaded the takeover program’s creation in the legislature. Bryan is also a member of the powerful UNC Board of Governors. The management fees are projected at $600,000 over the five-year period. Under the contact, the management company hired the principal, provides the curriculum, coaching and talent development for the entire staff. The teachers and support staff remain state employees. Nancy McCormick is in her first year as a kindergarten teacher at Southside Ashpole. McCormick lives just across the South Carolina border in Dillon. She recently retired from Marlboro County Schools, also in South Carolina. McCormick is excited about teaching the new curricula, Core Knowledge and Eureka Math, chosen by AAC. In addition to the curriculum changes, the school operates on an extended day schedule. And for the most part, students do not have homework. McCallum, who works at another Robeson County elementary schools, said it took a while to get comfortable with the idea of no homework. But she said her daughter Carmen is excelling in the classroom and meeting expected growth without nightly homework. “They’re not bringing home homework and for her to do that [meet expected growth], her teachers must be giving her what she needs to succeed in the classroom,” McCallum said. While reports out of Southside Ashpole have been overwhelmingly positive, much uncertainty still exists for the NCISD. Under state law, the NCISD leadership must have four additional schools identified next year to bring into the school district. The NCISD must have five schools by 2021. If the past is any indication, identifying four schools will be easy. The tricky part will be convincing school districts and communities that the NCISD is the best course for their low-performing schools. Earlier this year, the State Board of Education approved a “restart application” for Carver Heights Elementary School in Wayne County, allowing it to avoid being swept into the NCISD. The school’s request for “restart” status was approved on the strength of new principal, Patrice Faison, a former Wells Fargo North Carolina Principal of the Year award recipient, who has gained a reputation for turning schools around. NCISD Superintendent LaTessa Allen said, moving forward, it’ll be important for the program to go about its work “in partnership” with targeted schools. Allen said the work being done at Southside Ashpole is evidence the NCISD can work. She noted that the Rowland community has embraced NCISD after a vigorous effort to keep Southside Ashpole out of the school district. “We feel we have a strong team of individuals with community support that will propel our students to greatness,” Allen said. And how will success be measured at Southside Ashpole this year? Meanwhile, McCallum said she can hardly wait to see the results. “I think it’s going to succeed and I’m excited to see what the turnaround will be,” McCallum said.